Carol Estok is FACET’s Career Transition Specialist for the Greater Pittsburgh area. A native of Beaver Falls, PA and now residing in Aliquippa, PA, Carol has over 30 years in education and curriculum development. A graduate of Slippery Rock University of Pennsylvania with both an M.S. and a B.S. in Education, Carol was selected for inclusion in the Senior Women’s Honorary Society. 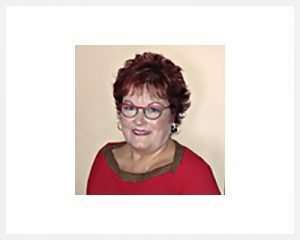 During her 34 year teaching career in the Central Valley School District and the Community College of Beaver County, Carol served as a Department Head and Lead Facilitator of the Student Assistance Program (SAP). The SAP prepared graduating seniors for the world of work and provided résumé development and other career search correspondence, shadowing of professionals in local businesses and development of individual projects in students’ respective career fields and industries. The projects included specialized presentations to School Administration. Carol also counseled and trained students with slight to severe learning and emotional issues, both during and after the school day, and included work with drug addiction and abusive environments. An outstanding presenter, facilitator and motivator, Carol has also started, managed and sold two successful small businesses. She is a member of the Pittsburgh Human Resources Association (PHRA).